MOON CRYSTAL POWER Sailor Moon and her scouts stop a mind-controlling flower-monster from destroying their home in Sailor Moon: The Promise of the Rose. A typical day for me is waking up just before 7 a.m., doing a tiny bit of stretching (and a lot of yawning) followed by a smoothie or tofu scramble. Then I'll read the news, snuggle my pets, and do my eyebrows—if you're lucky. A typical day for Sailor Moon, my favorite animated superhero feminist, is quite different; a day in her life consists of going to school, fighting crime, and saving the earth with her sailor scout friends. 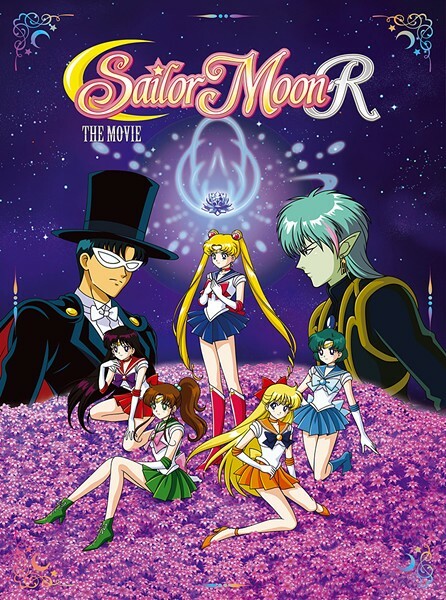 In the first film of the Sailor Moon franchise, The Promise of The Rose (also known as Sailor Moon R: The Movie), the plot is a side story to the original series, taking place after the second season of the Sailor Moon anime show. Usagi (Sailor Moon) and her crew work together to defeat a flower-monster named Glycina who plans to drain the energy from Tokyo's population with her xenian blossoms. Glycina is one of my favorite concepts for a villain, ever. She's like a centaur, except her legs are like giant green spider legs, and her top half is blue with matching electric hair. There's just something awesome about her being evil by sprinkling parasitic pink blossoms all over the planet that latch onto vulnerable hearts and put them under her spell. However, she's still no match for the sailor scouts. If you're not familiar with the iconic '90s super hero group, the sailor scouts consist of Sailor Moon, Mercury, Mars, Jupiter, and Venus. Each member has a different strength that they use in the pursuit of justice. To transform from their civilian identities to their planet princess selves, they each wield a transformation pen that casts out beams of energy and latches onto their outfit. It's a colorful, cosmic process that resembles what I imagine being on acid is like. I mean, how cool would it be to just throw a pen in the air, chant something, and then be taken into a fully automated celestial makeover? "Moon Crystal Power! Makeup!" exclaimed Sailor Moon each time she transformed. In The Promise of The Rose, floral and cosmic motifs are beautifully sprinkled throughout the film, and it's quite aesthetically pleasing. One of my favorite moments is when the crew is battling Glycina to protect Earth and save Usagi's boyfriend. The crew has a tender moment up on the magenta, flower-covered xenian planet while Sailor Moon is momentarily held dead by Glycina's manipulated host, Fiore. In the end, they all make it back to Earth, but it's only after Sailor Moon powers the group back on a chunk of rock with a crystal shaped like a succulent, emitting bright pink light.